Try something new with the piled up news papers and magazines..!!! After doing this craft I totally felt in love with these flowers because this is such an easy craft and gives you a different look. You can also do this with colored papers. Make a bunch and give them as gifts. 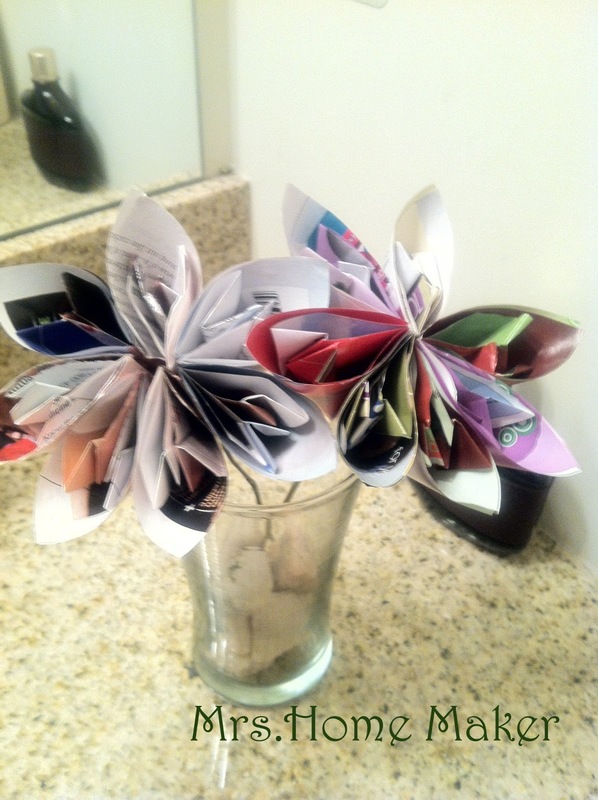 You can vary the size of the paper just to create different sized flowers.